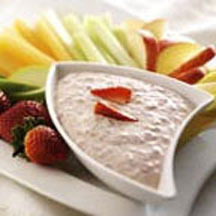 CooksRecipes has quality, kitchen-tested recipes for a variety of fruit dips that are perfect for parties and entertaining. 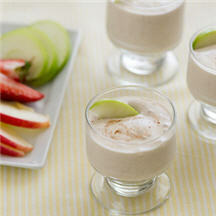 Ideal served as an after-school snack for the kids or as part of a healthy breakfast. Fresh fruits of the summer are puréed and combined with yogurt and mascarpone cheese for a delightful summertime fruit dip. 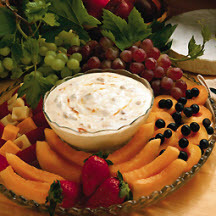 A fluffy fruit dip make with apricot preserves, sour cream and walnuts. Serve with fruits and cheeses.